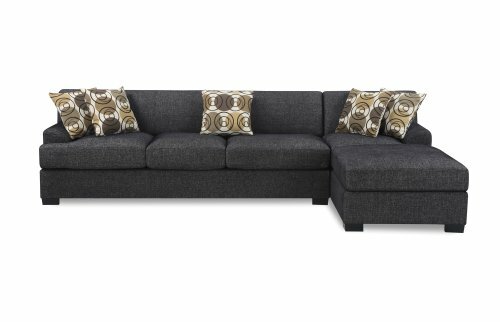 Poundex Benford Collection Faux Linen 2PC Chaise-Sofa Sectional in Ash Black Color. Designer carefully selected leather and fabric for wear ability, seam strength, beauty and comfort. Newest design that is much better then the previous model. Built for anyone looking for clean lines and bold presence with style and comfort. If you have any questions about this product by BOBKONA, contact us by completing and submitting the form below. If you are looking for a specif part number, please include it with your message.